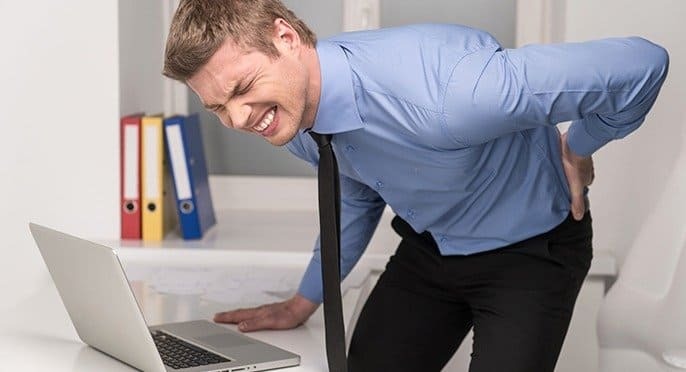 Discomfort related to muscular and skeletal problems are a major factor in many nations around the world, and compromise a significant percentage of all healthcare treatment. These types of discomfort are the principal factor in people taking sick leave and missing time from work in Sweden, among other countries. In that Scandinavian nation, primary health care providers report a significant number of discomfort cases related to stress, and these kinds of cases have been on the rise in recent years. For people missing work, or taking disability pensions, this is the principle cause, particularly so amongst women. Some of this is believed to be caused by changes and layoffs in the working population, and thus we must approach the problem with these facts in focus. Developing discomfort from stress-related causes progresses over many years, and is usually combined with symptoms of exhaustion, muscle tension, and other factors that eventually lead to pain that is principally psychological in nature. From there, these disorders progress towards cases of chronic pain and exhaustion, both mental and physical. The illness known as chronic fatigue syndrome is believed to result from accumulated stress over a long period of time, said stress originating in both the life and work environments. Treating multimodal pain by using Cognitive Behavioral Therapy (CBT) has been demonstrated to diminish discomfort, lower stress levels, and aid people in returning back to work. By studying 48 different research studies, it was shown that CBT demonstratively lowered discomfort and stress levels by using CBT, multimodal programs, and through the use of organized interventions. It was found that personally tailored interventions had the best success rate in lowering discomfort and stress for patients. Progressive treatment also includes taking into consideration psychological factors for the treatment of discomfort disorders. One such disorder is persistent pain, and this should always be treated first before integrating other therapeutic approaches. Looking at a person holistically, it is important to help people get back to work by taking into account their health, both physical and mental, their level of daily movement, and what treatments they are currently undergoing. Persistent discomfort is when a person is suffering from discomfort for at least three months. For patients to be able to endure such long-lasting discomfort, it is essential that they receive proper medical treatment and education. A successful multimodal team will organize themselves for the purpose of helping the patient improve their health and return to work. Studies have demonstrated that using CBT to treat long-lasting pain can also help a person better their social lives, improve their physical health, and also lower their amount of discomfort. By honing in on a patient’s coping strategies, it is possible to significant lower discomfort levels. A multimodal therapy organization, using CBT techniques, will work with the patient to help them formulate clear goals, and then design a specific, step-by-step approach towards achieving those goals. The multimodal team begins by setting up specific, tangible goals and sub-goals, establishing milestones so that the person can achieve positive results. When the patient achieves their milestones, they feel better about themselves, and get increased ambition and energy to continue to work towards the rest of their goals. When the team helps establish such rehabilitative goals with the patient, success is usually the result. Another aspect of multimodal team intervention is factoring in a person’s health, both mental and physical, so that the patient can go back to their job. Listing and naming health factors have been shown to be key to helping people restore themselves to full health. Some of these psychological factors include the patient’s understanding of the meaning of their lives, as well as their ability to understand and then tackle the problems of their life. When a patient understands very well what is going on with them, they will have a better chance of being restored to health, as well as be able to fend off future sources of stress. Find a way to motivate the patient, empowering them to continue to participate in the therapeutic process of rehabilitation. When the patient actively participates in their own rehabilitation, this greatly increases the speed and success rate that their are able to return to a greater sense of well-being and full health. It has also been shown that patients who actively participate in their own rehabilitation show better results in controlling their own discomfort levels, particularly if they follow a program of physical and positive emotional activity. By concentrating on happy and positive things, people can reduce the level of pain that they feel. Furthermore, a multimodal approach including physical exercise has also been demonstrated to be successful in aiding patients control and reduce their levels of chronic discomfort. There is strong evidence that people who are active physically show greater muscle strength, improved hand-eye coordination, better balance, and an overall lower level of chronic discomfort. When a patient is empowered, they become motivated to increase their participation level in their own rehabilitation, and thus learn more about how to take care of themselves. Therefore, it is essential that a person’s motivation be taken into account when trying to achieve success. A person is motivated when their ambition is the driving force of the choices they make. It has been shown that a person’s motivation is a combination of both individual and societal influences, which include whether or not the person has clearly-defined goals, tangible future goals, and able to handle issues in their life by themselves. Being able to handle things is an important aspect of therapy. When a person is better able to handle things by themselves, this will increase their ambition to make better changes in their life. The ability to handle things has been shown to be related to a person’s success rate at achieving their targets.